Without a doubt, the organic industry is in growth mode. Consumers can’t get enough of organic products, with more than 58 percent purchasing them every week. That’s why more and more producers are starting to grow organic crops or transition from traditional crops to greenhouse organic crops. Across North America, greenhouse acreage is growing every year, says greenhouse vegetable consultant Gary Hickman, a retired greenhouse horticultural adviser for the University of California, Davis. Consumers perceive greenhouse produce as “superior” to conventionally grown products and may pay more for it, Hickman says. A growing number of consumers are embarking on a quest to eat healthy, and many believe that greenhouse-grown produce will help them achieve that goal. 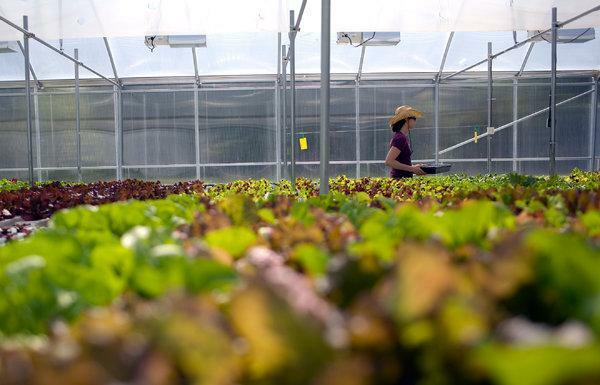 Yet, not everyone would label greenhouse crops “organic.” Alex Travern, the head grower at Peace Tree Farm and a member of Greenhouse Product News “40 under 40,” discusses the confusion some have over greenhouse vs. soil-based organic farming. According to Travern, vocal groups of organic farmers have held rallies demanding that the National Organic Standards Board (NOSB) keep the “soil” in organics, claiming that soil-less growers would sully the organic label and render it meaningless. Organic farmers who grow their produce in soil argue that their vegetables have better flavor and superior nutritional content than those that are hydroponically grown, says Dr. Andrew Weil, an internationally recognized expert on integrative medicine, medicinal herbs and mind-body interactions. “Whether or not organic produce in general is actually more nutritious than conventionally grown food has never been scientifically settled. Next articleWhy Are TAG Heuer Watches So Adored?